This withered yellow rose has been with me for eight years, for me it is just as beautiful and valuable as it was freshly blooming. Eight years ago on a steamy and hot July day, I was at work and received a short email from my husband, Ron, to inform me you had passed away. I couldn’t control my tear rushing out, so I told my manager by texting that I had to leave for a family emergency. Sitting inside my car at parking lot I was sobbing for almost an hour, for the loss of a great family member. I first met you a few months after I started dating with Ron. He took me back to his farmland where he was born and grown up. The fine features on your face revealed the trace of beauty at your young age. I was nervous, but your kindness eased my stress. Soon after we shook hands I felt as if being at my own home. Ron told me a lot about you since we started dating. You took care of several young kids by yourself while your husband was serving in ariforce overseas. After we met, you proudly shared the stories of your late husband as a lieutenant to fight for our nation during Korean War. But the most appealing for me was the love story between you two. You showed me an oriental dress you husband bought for you from overseas. It was so pretty that I had to ask Ron’s help to “steal” it, and finally it landed in my closet. You stayed in the same farm house built in 1950s, which carried rich family history. You grew a big family by raising eight children. And you also strove to finish your education while taking care of them. You established a family culture to promote love, honesty, hardworking and independence. Coming out from this family all of your children have been progressing with their careers and lives. I found that you used wisdoms and humors to educate your grandchildren. Your style of interactions with younger generations was never forceful instead respectful and inspiring. Your charisma was connecting family members together even after they formed their own families. Your children and grandchildren were drawn to you on each Christmas. A big family fest was the happiest moment in a year. In my memory, you were always either working or reading at your desk. After retirement you volunteered your time at a local charity organization. More then once I was amazed by your abundant knowledge and experience in many difference areas. I felt I had a good fate to know you. On the Christmas of 2002, Ron announced our engagement. You gave me a hug and said “Welcome to our family!”, a warm gesture to accept a person from a different culture. After we married, we drove to visit the farmland only a few times a year. In our mind you were healthy, happy and active, we assumed that we would have a lot of time ahead to share. But a sudden diagnose of lung cancer deteriorated your body and brought your life to its end in just a few months. You refused to spend the last week of your life in a hospice, but asked your children take you back to home – the farmland where you spent over sixty years. You also requested your bed moved in front your bedroom window from which you could see sunrise and sunset over the farmland for the last few times. You remained writing diary whenever you were awake from painkillers, to record the feelings and thoughts you had during the very last stage of your life. We decided to drive back to the farm on the Friday, July 25 to see you and to tell you how much you had meant to us. But you lost the battle with cancer one day before. 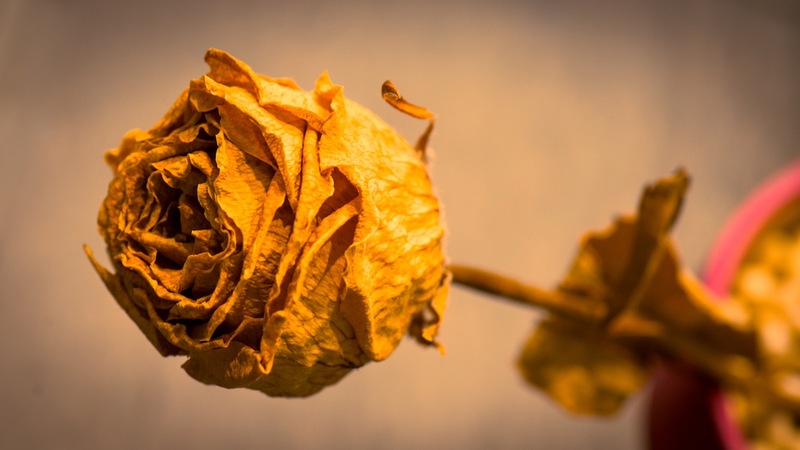 After your funeral each of your eight children received a yellow rose, a goodbye gift from you. I held this yellow rose in front of my heart while seeing your coffin was lowered into the grave. Even though you had physically disappeared from our sight, with this yellow rose your spirit has been always with us! Margo, my mother – in – law, eight years have passed, you are still very much missed! Next postIt is a Curlew! Very, very sweet. She sounds like an incredibly welcoming and wonderful woman. I lost my mother-in-law 10 months ago and have many wonderful memories of her. That rose is very special! Thanks, I will for sure always remember the time I spent with my late mother – in – law. A beautiful photo and story to remember a beautiful person. Thanks for sharing this. It’s is wonderful to be blessed with a great mother-in-law! I’m glad to see that you had that. Wonderful post. What a lovely tribute to your mother-in-law. I lost my mother to lung cancer in 2012. What a horrible thing cancer. I absolutely HATE it. But your post was beautiful and inspiring. Thanks, have a nice weekend. Just incredible… I read it all with tears in my eyes. Carry on this beautiful memory of even more beautiful person! The impact created by some people will last life long. Beautiful, I especially like the one of sunrise!